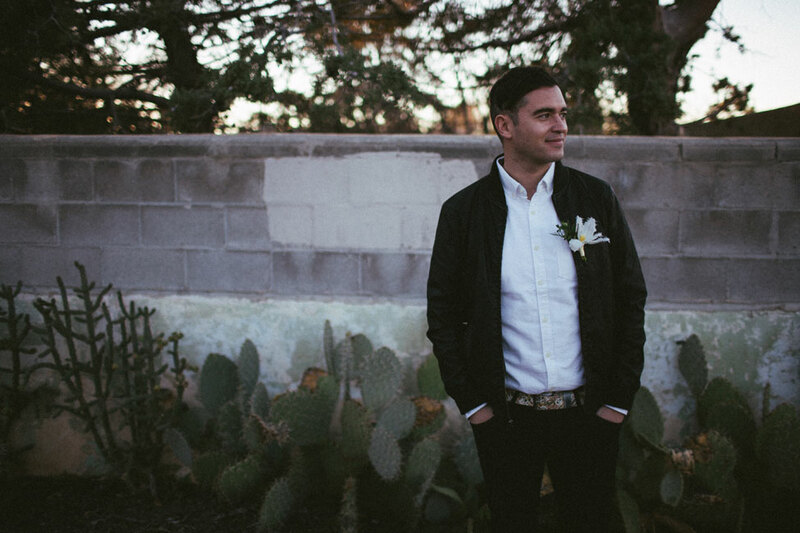 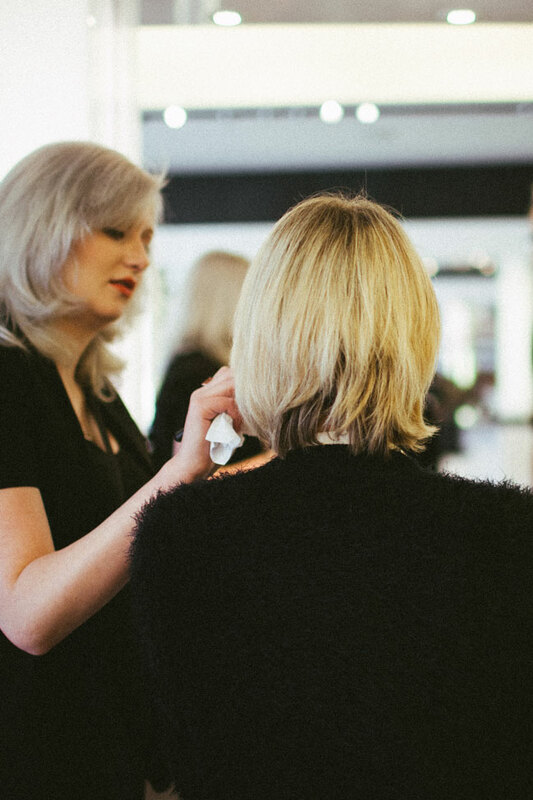 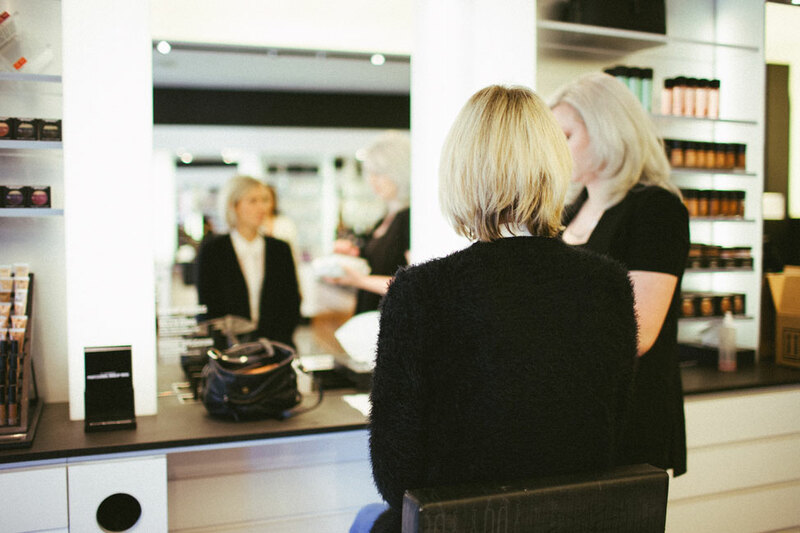 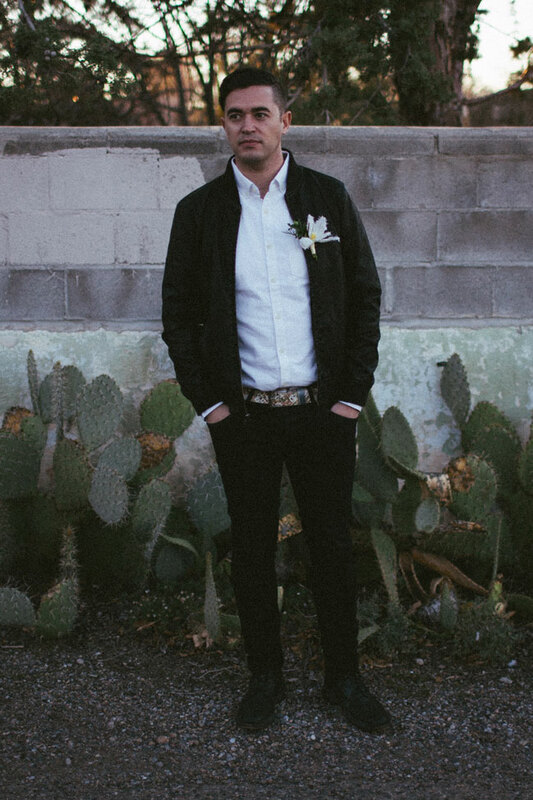 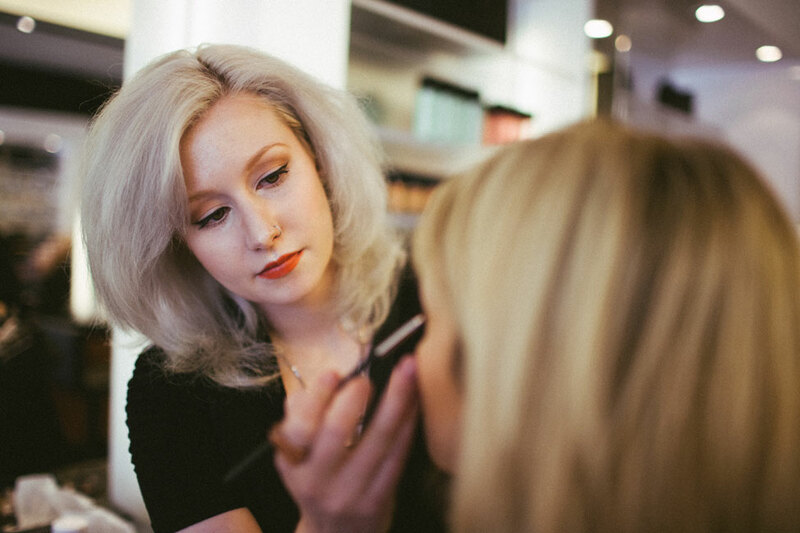 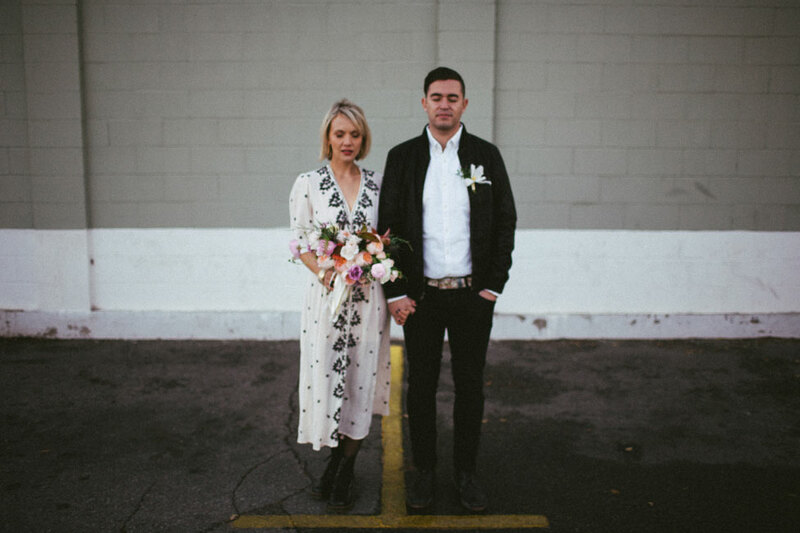 One of the things that I love most about blogging about the wedding world is realizing how wonderfully cool elopements & super small weddings can be. 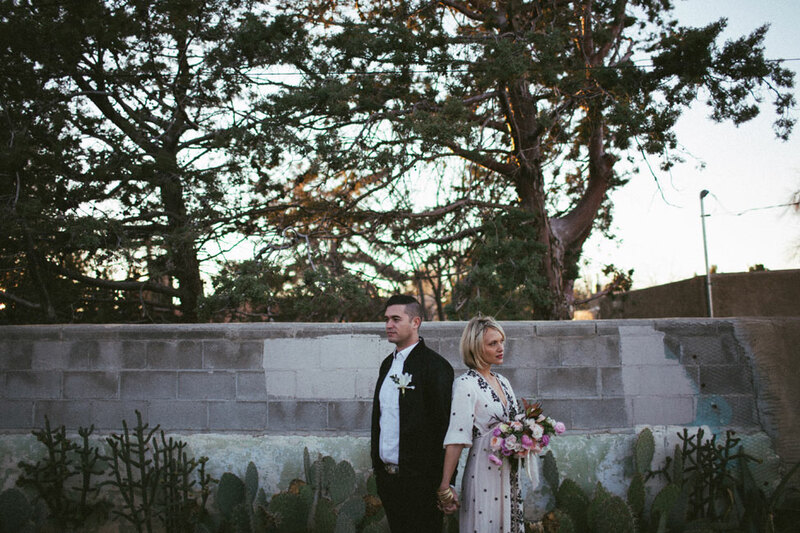 It seems that moving forward these days, there are more & more couple’s who simply dont identify with a larger weddings complete with all the trimmings. 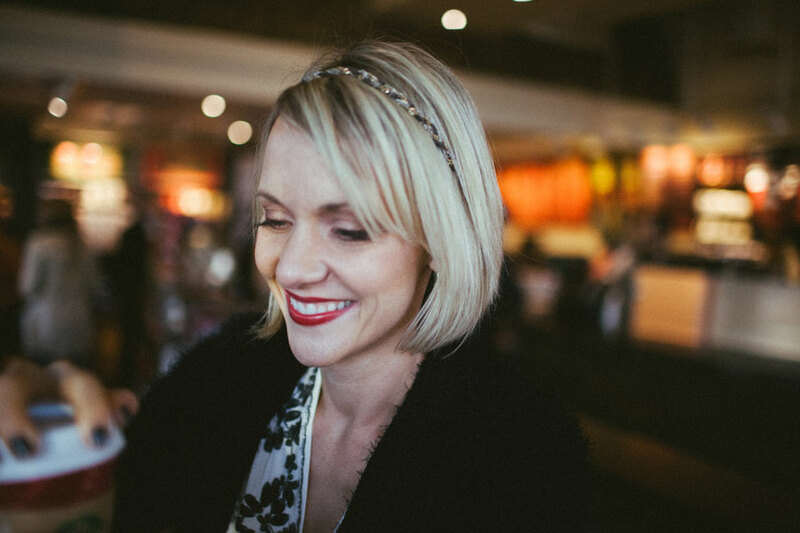 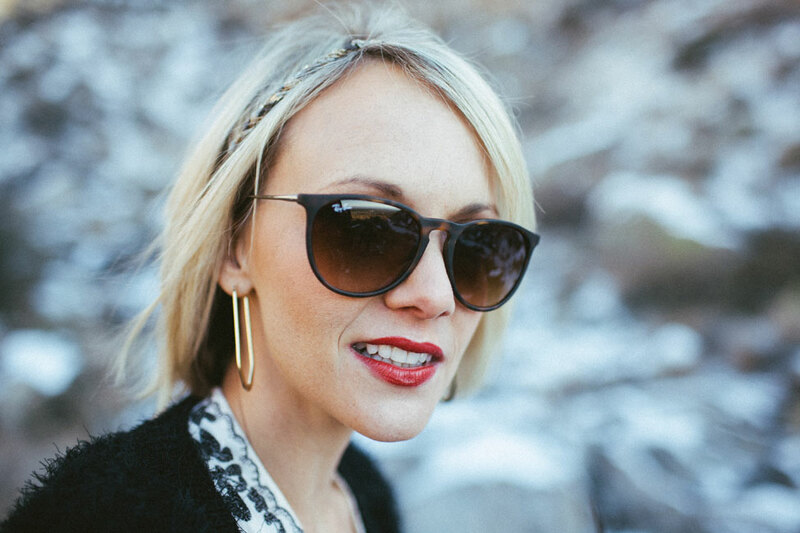 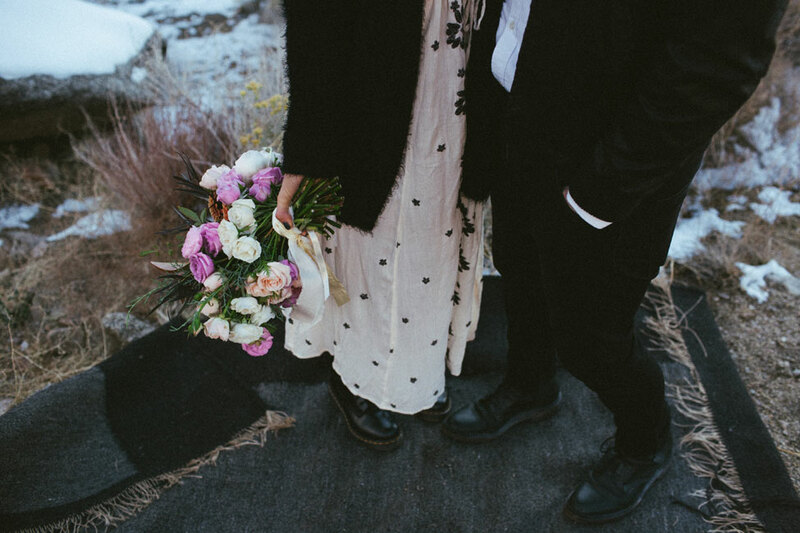 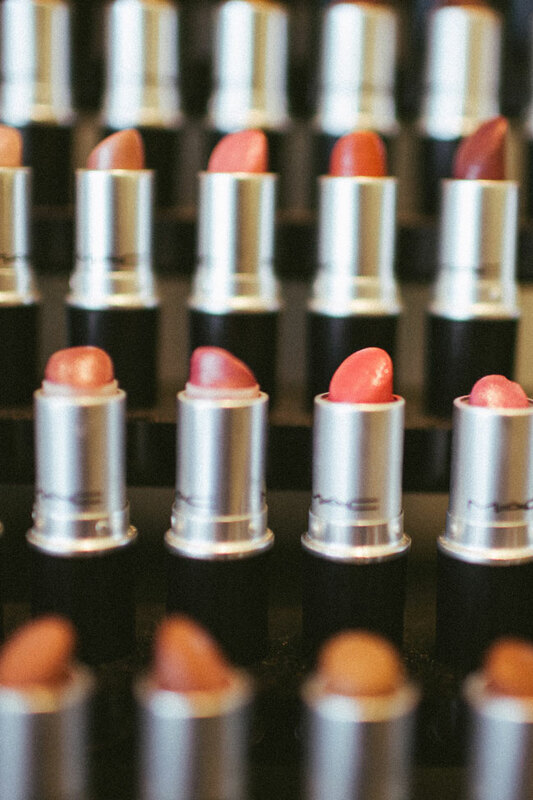 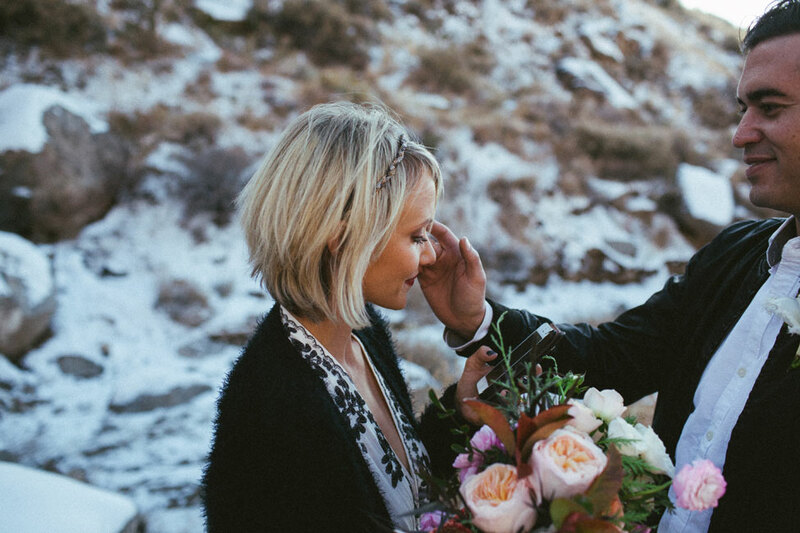 Instead these couples, still seeking out a chic affair, focus on great unique style that represents the couple to the core, minimum to no guest lists & gorgeous photography in which to capture each special moment. 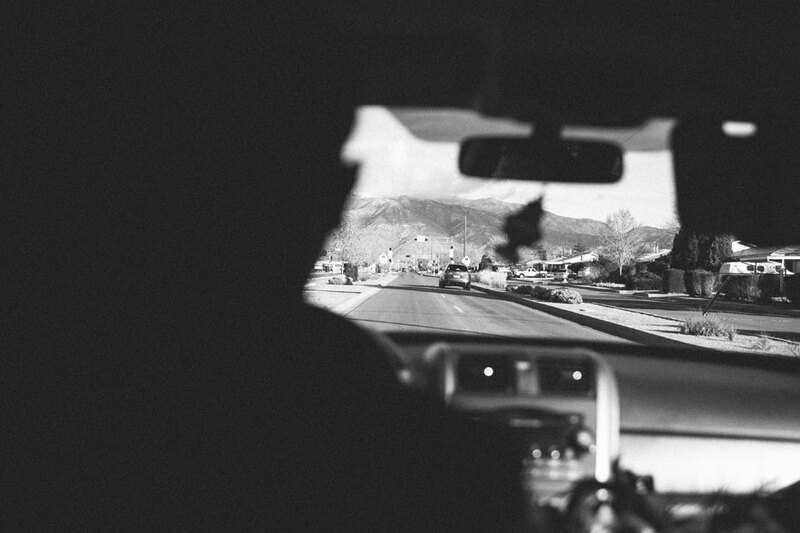 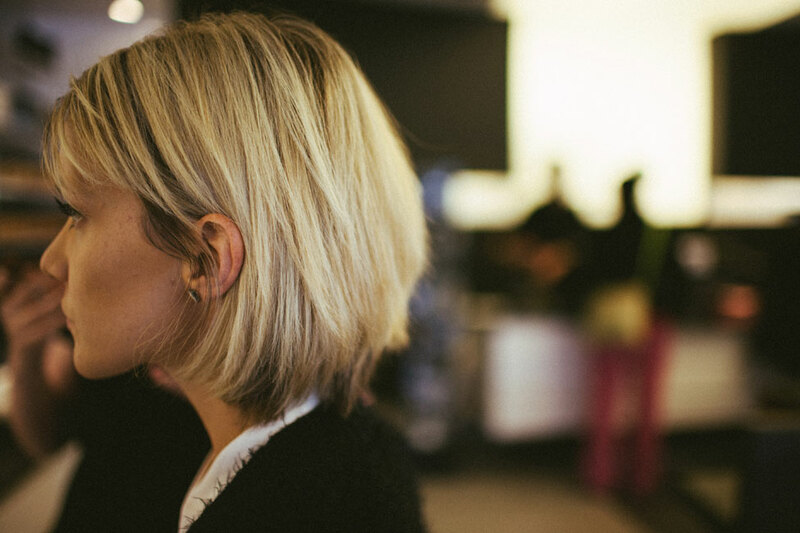 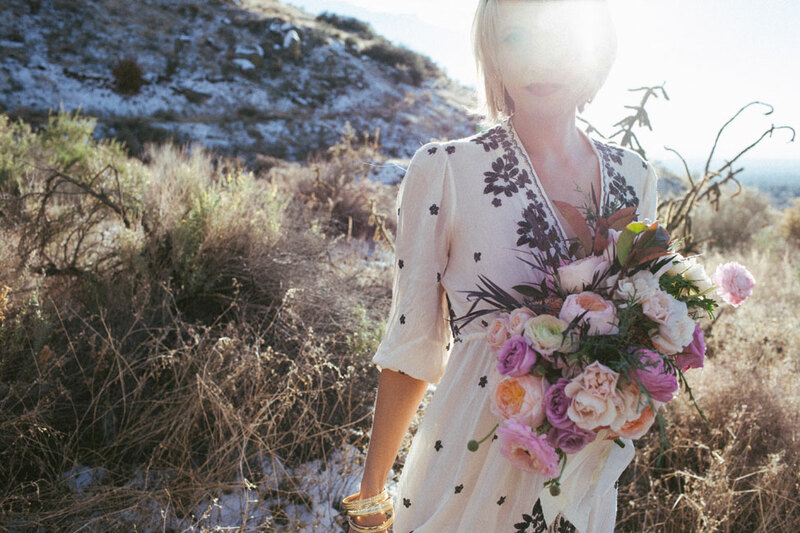 The results are increasingly cool, thoughtful & often times some of my all time favorites! 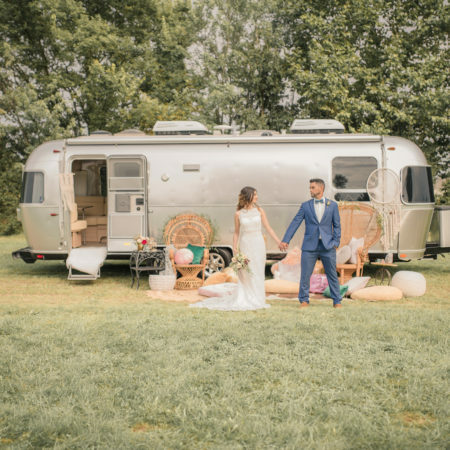 Wedding photographer Latisha Lyn Photography thought that elopements should get the same special styled shoot treatment as their bigger counterparts and for that I could not be more grateful! 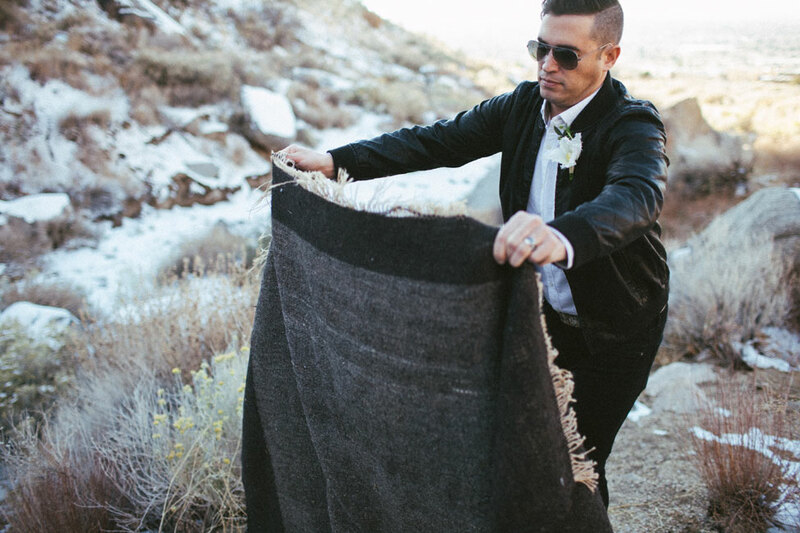 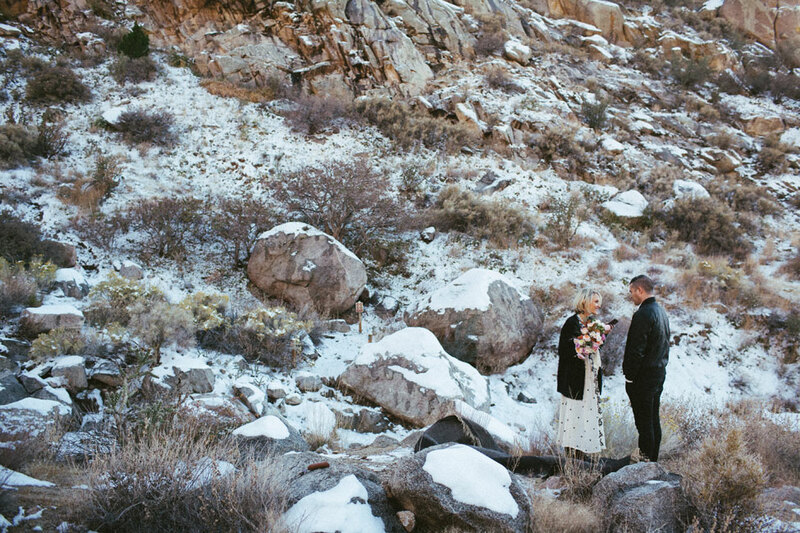 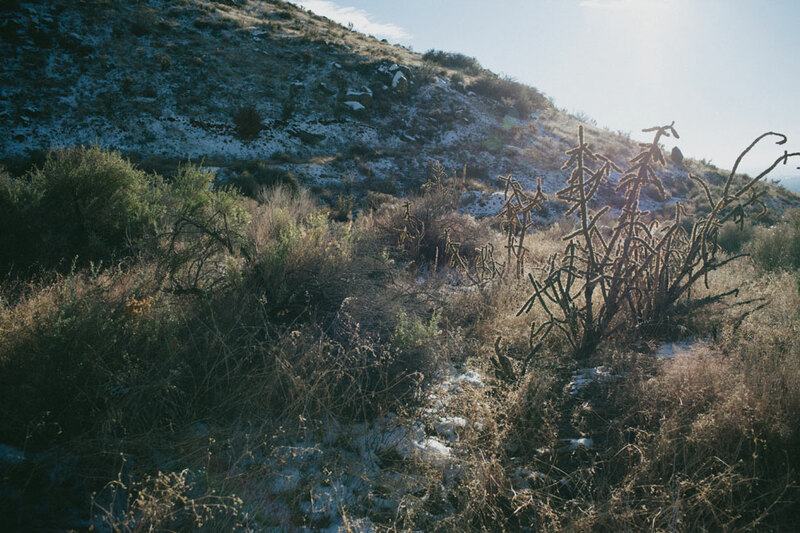 Captured in her signature moody style, Latisha brings to life a free spirited boho couple who wanted nothing more then to be surrounded by the rustic snow brushed mountains in New Mexico, to hike a bit, find just the right spot and simply profess their love. 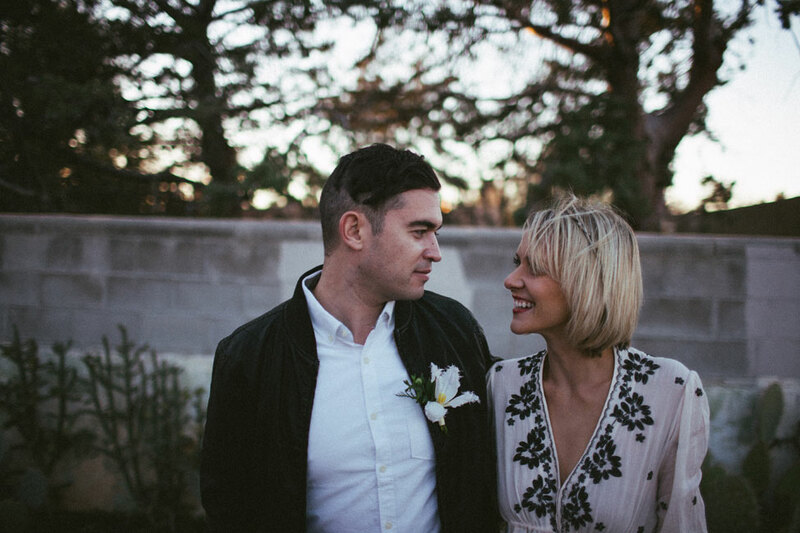 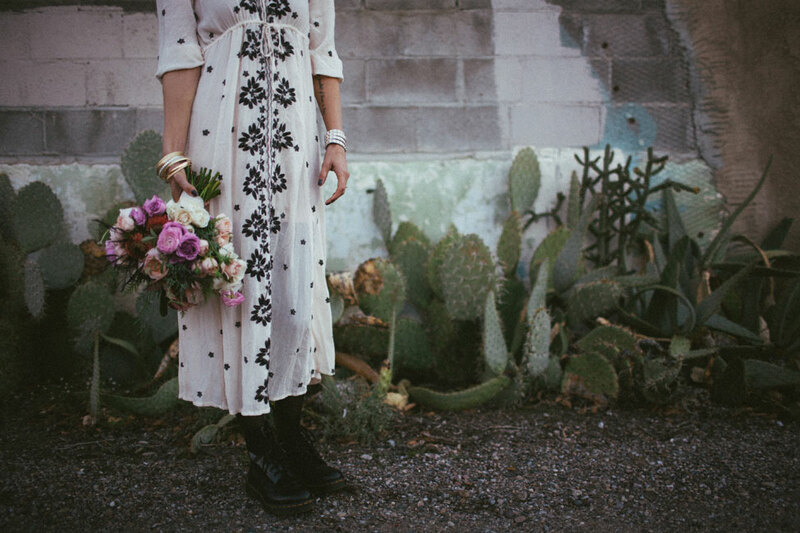 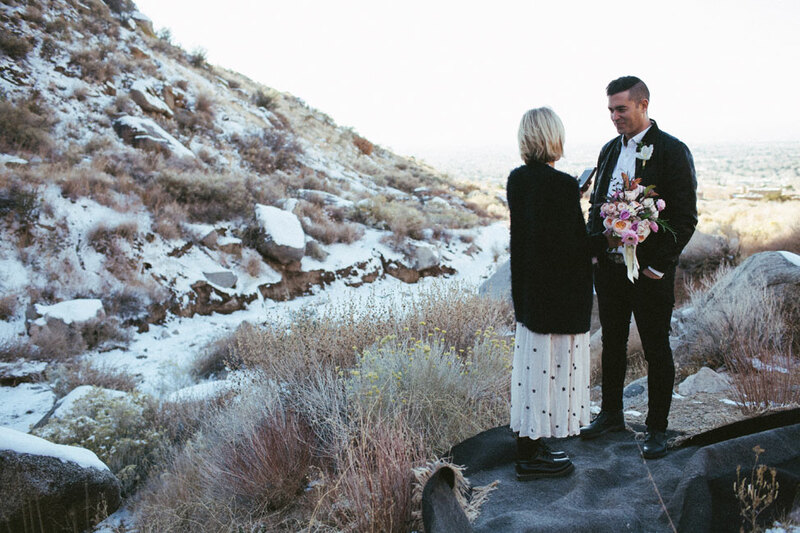 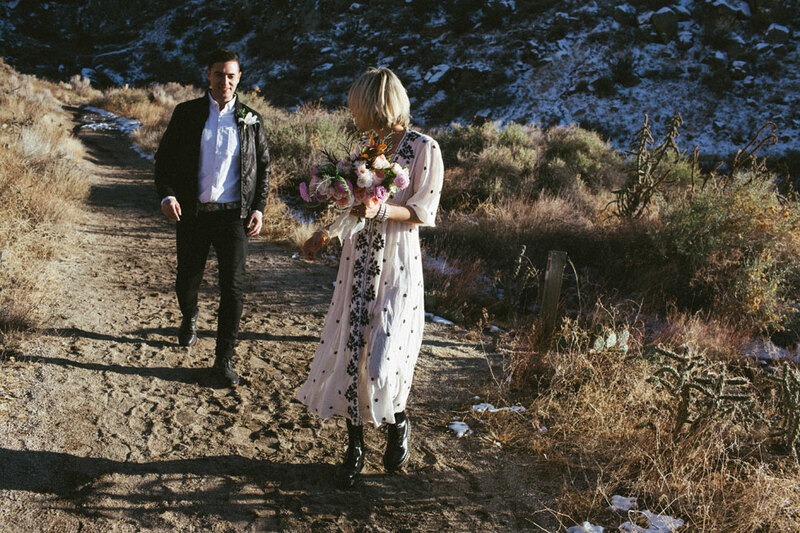 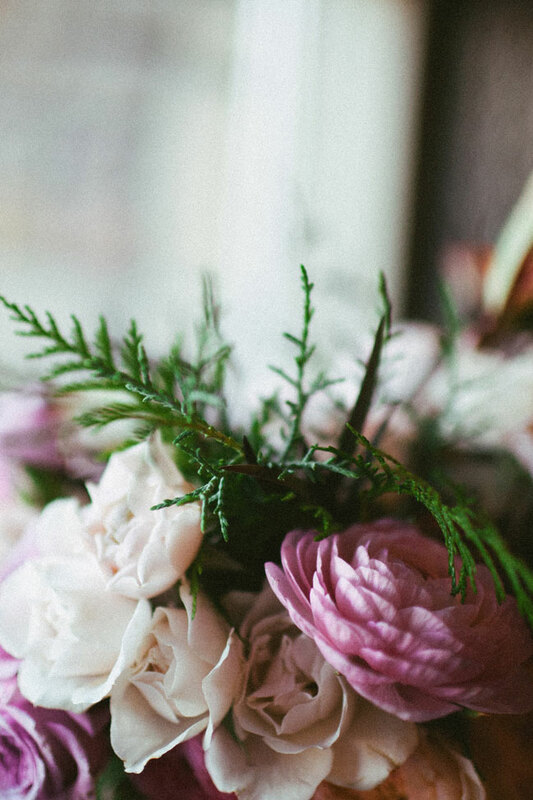 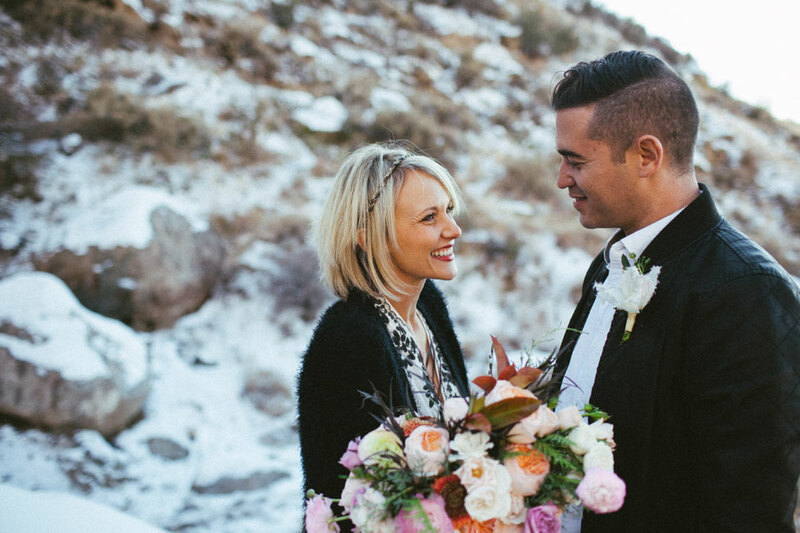 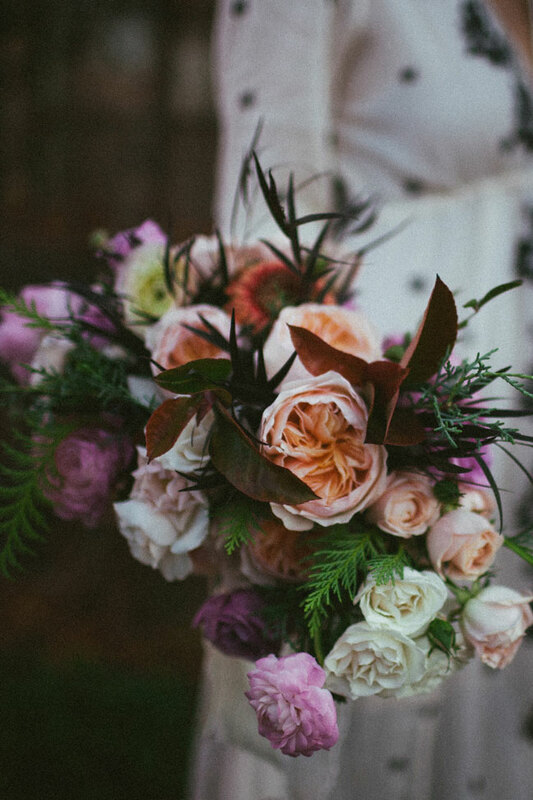 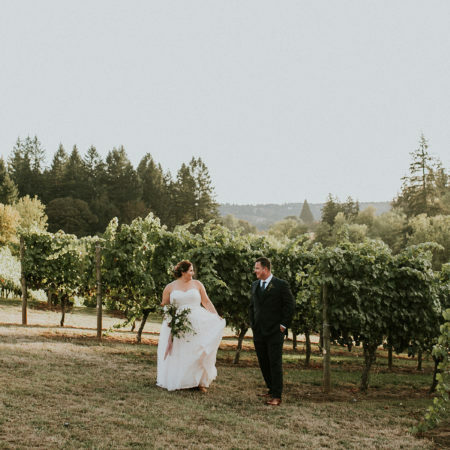 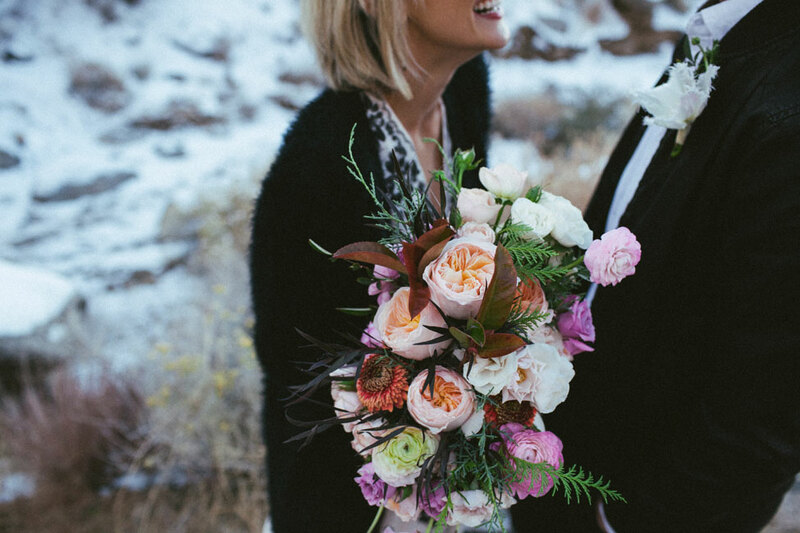 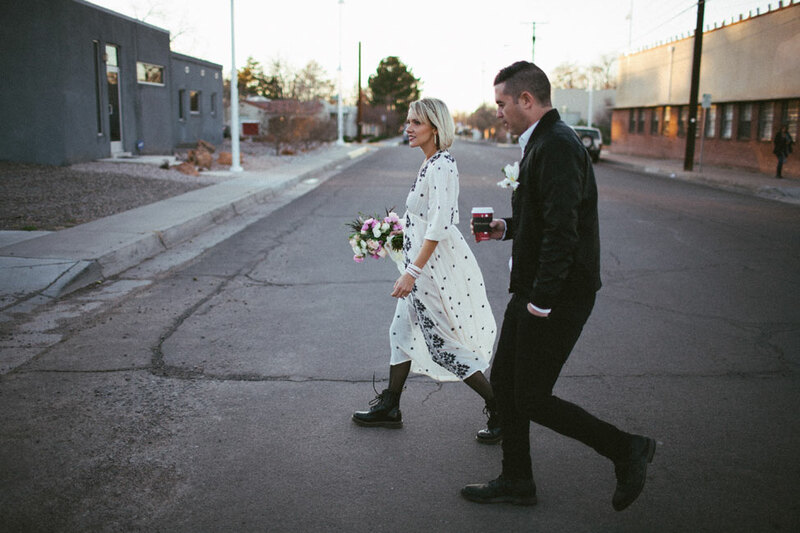 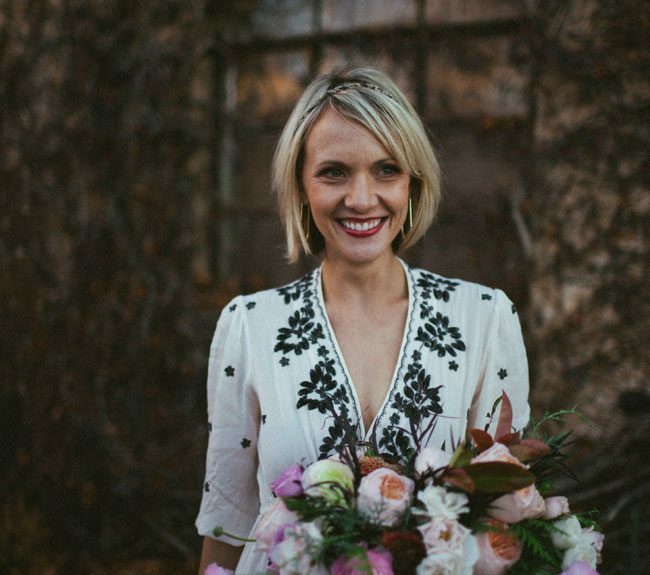 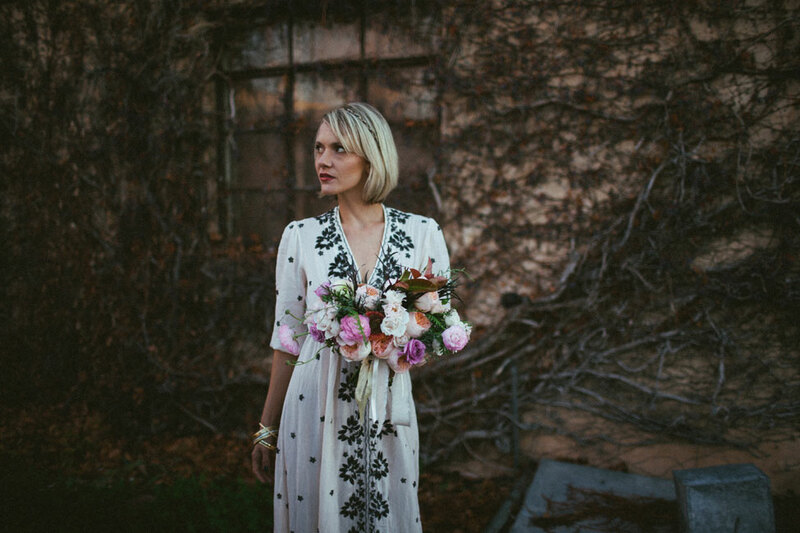 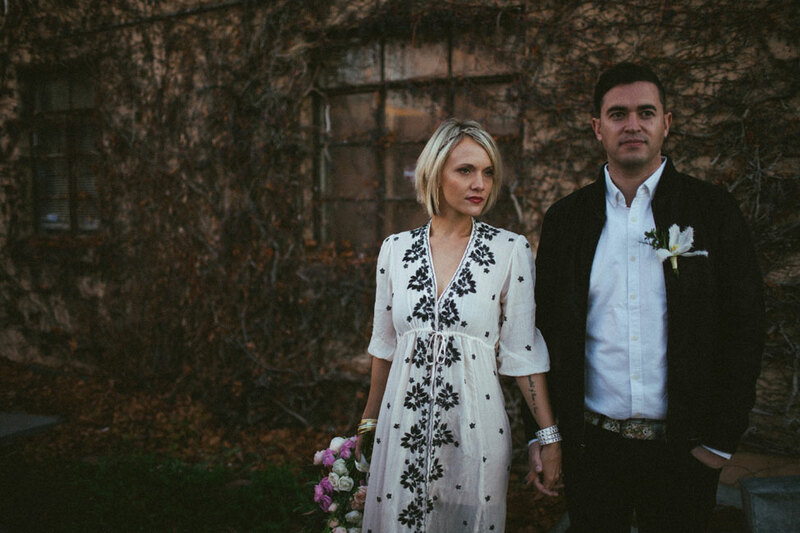 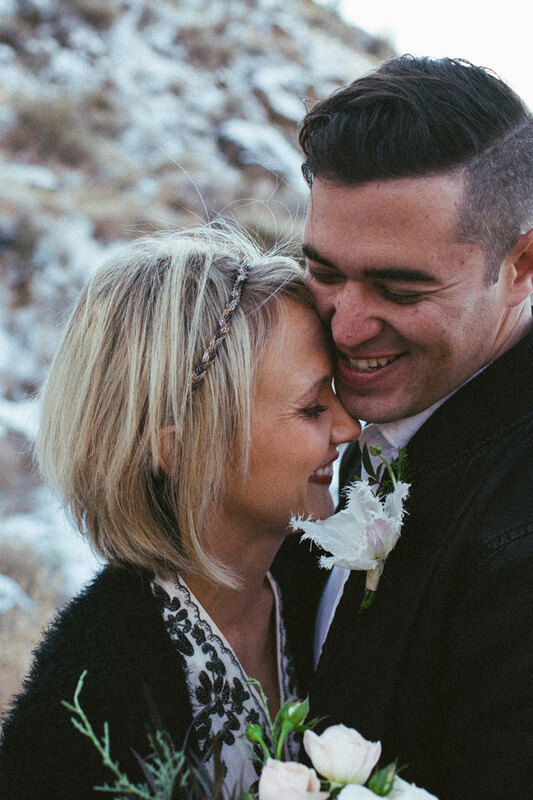 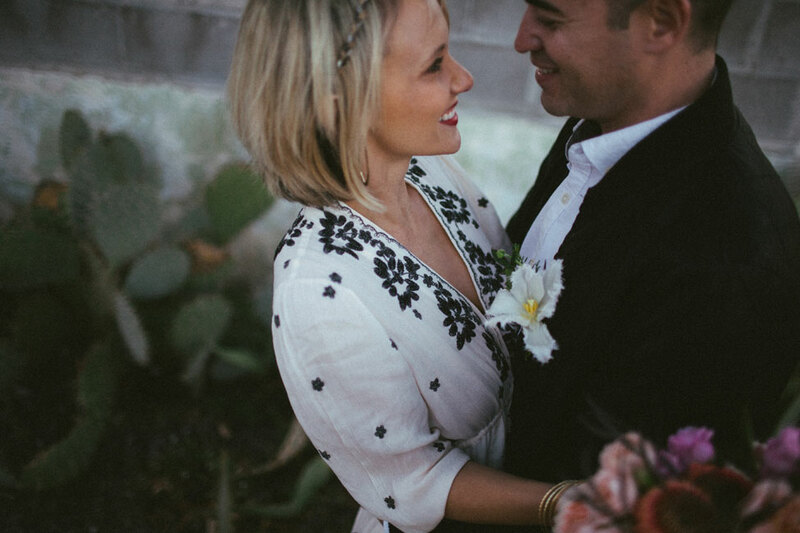 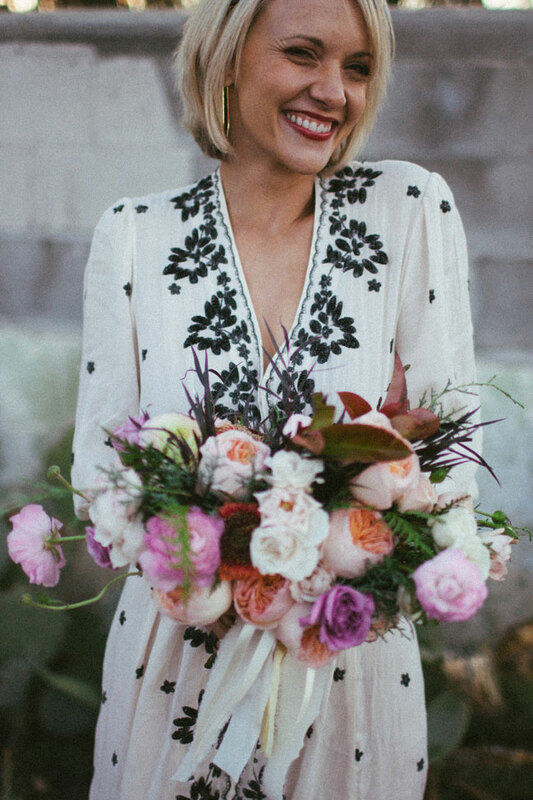 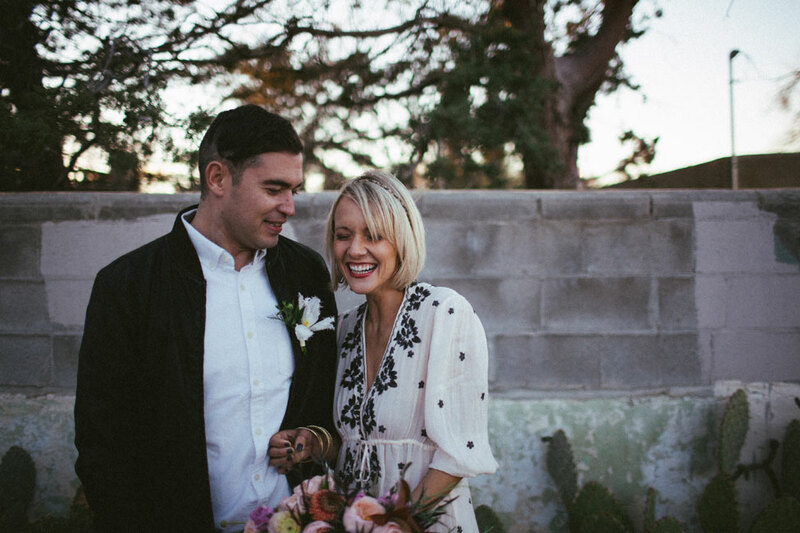 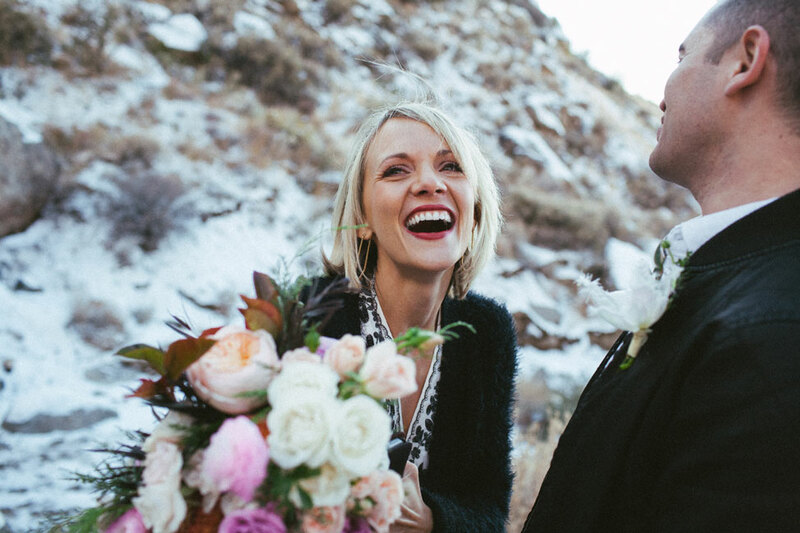 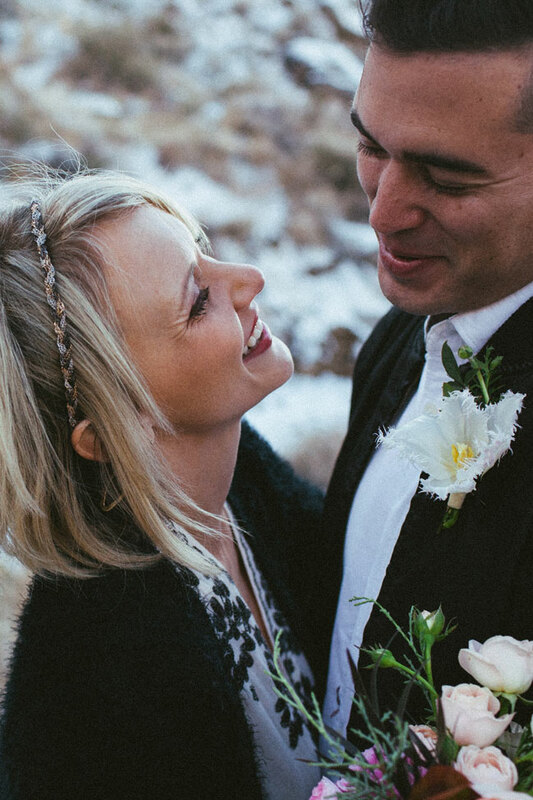 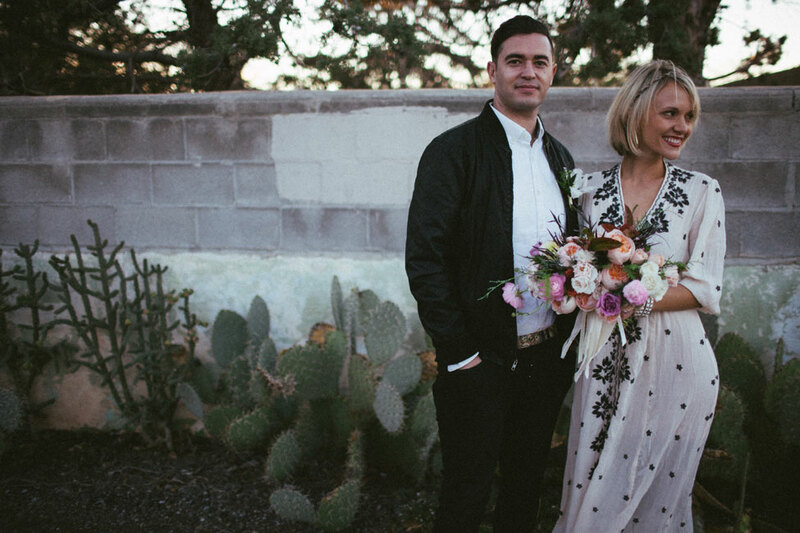 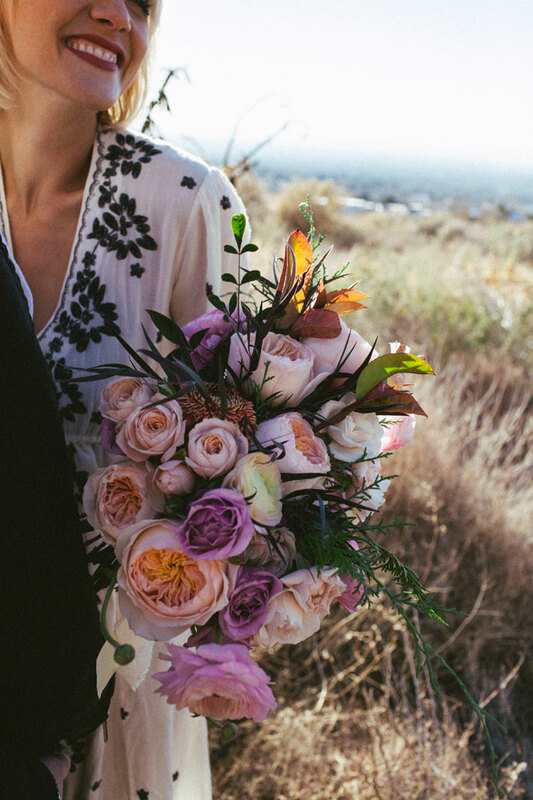 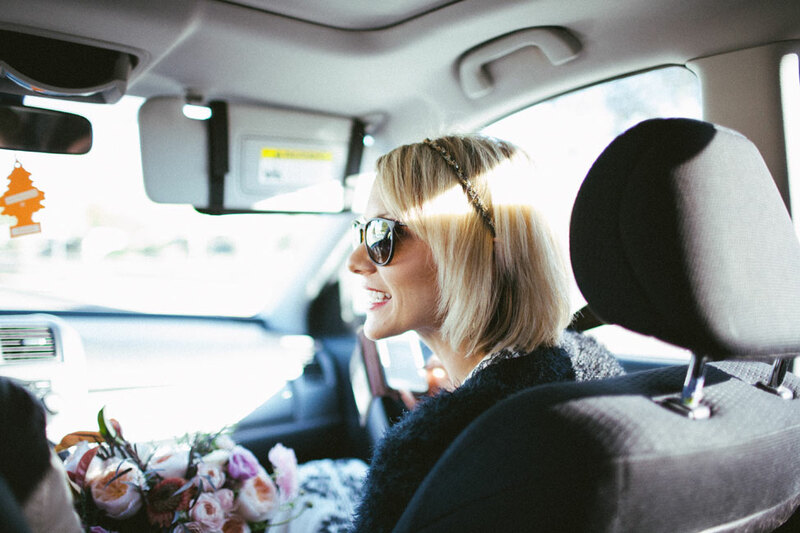 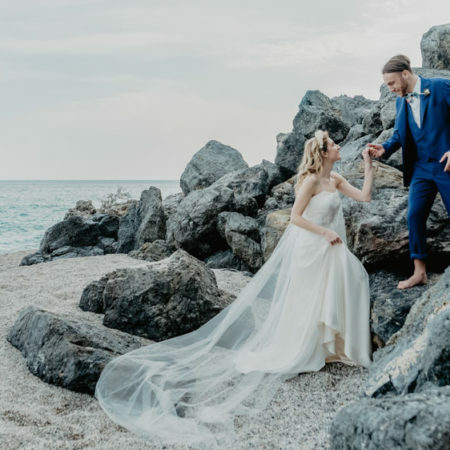 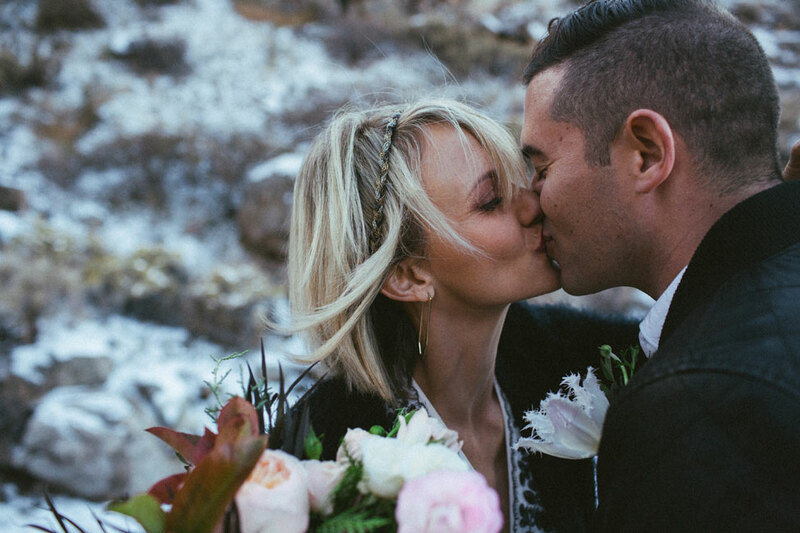 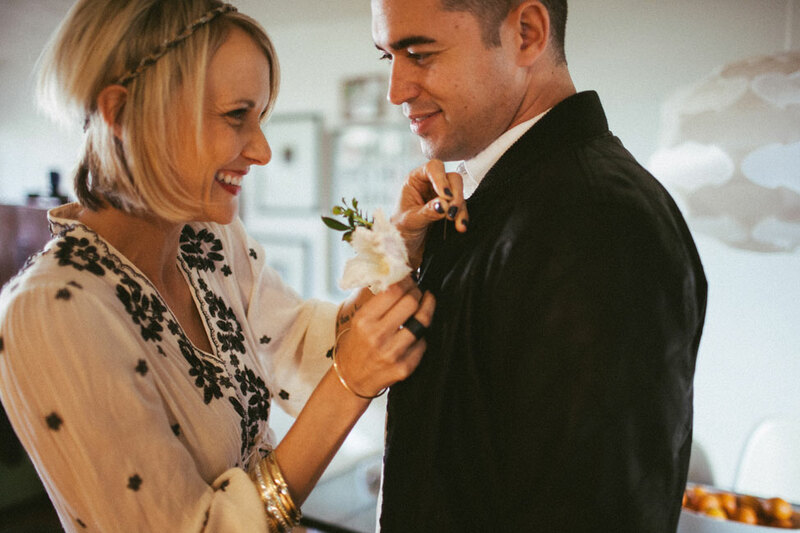 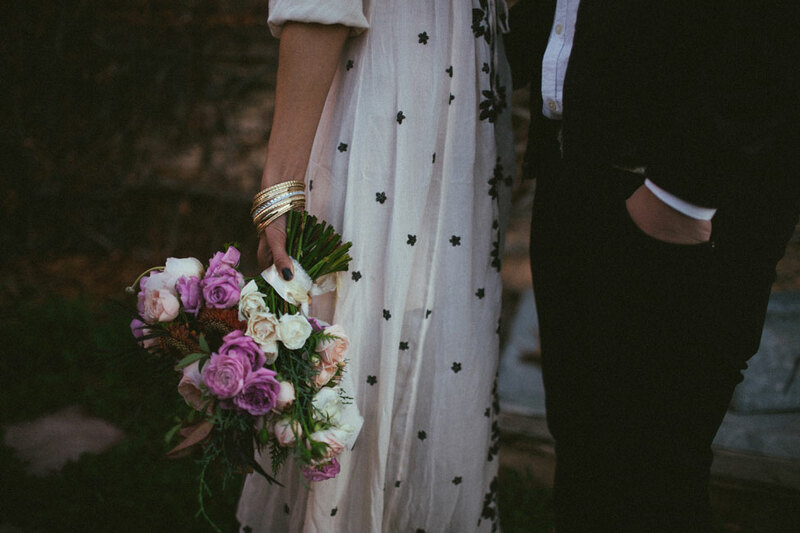 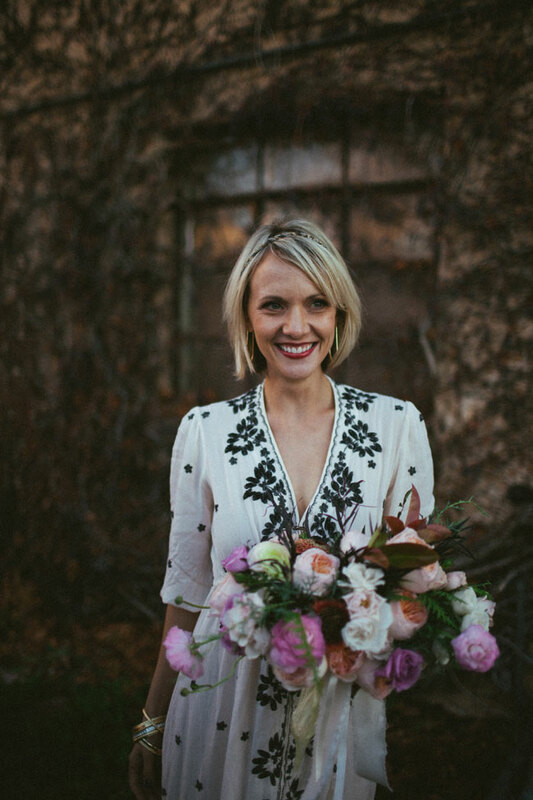 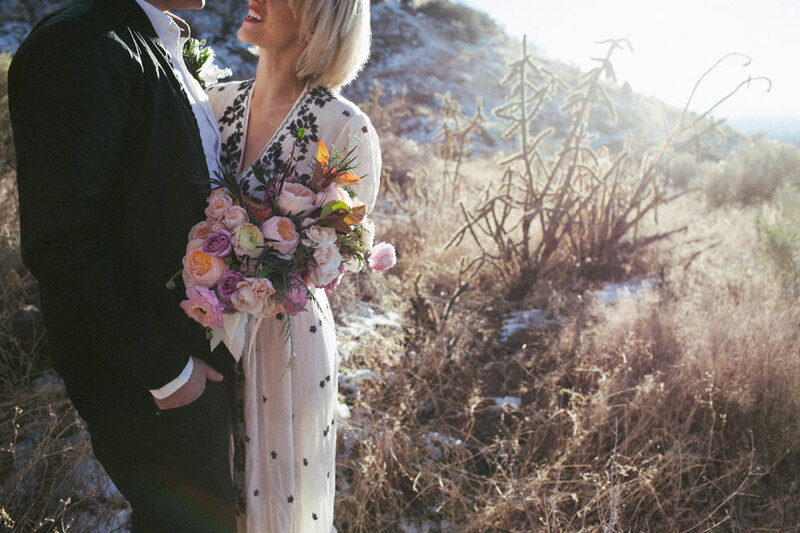 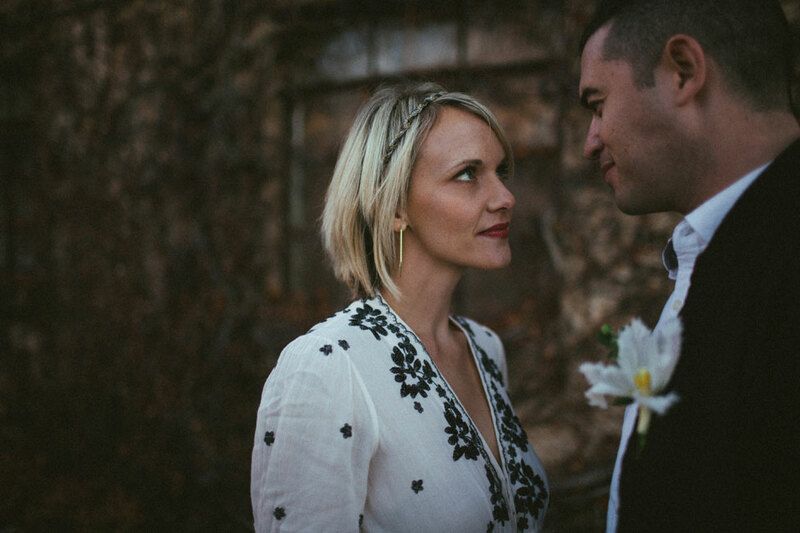 Naturally some stunning flowers from Amy Nicole Floral Studio were in order for our bride as well as the perfect dress from Free People, a free flowing white dress with black floral accents, softly blowing in the wind, just like our free spirited couple!